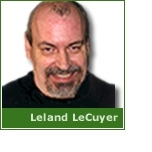 Leland LeCuyer is a high concept and visionary thinker whose independent mind and focus on integrity make his contributions of special value as a founding member of SynaptIQ+. Leland was a founding member of Maryhouse, a Catholic community supporting homeless and distressed women in New York. Worked as a nursing assistant caring for terminally ill individuals at St. Rose’s Homein New York. Instructed philosophy at Boston College. Typeset a series of books on Greek philosophy. Served as editor and designer of the Boston Computer Society’s Macintosh newsletter, The Active Window, transforming it into a feature magazine. He has worked in varying capacities for Little, Brown and Company book publishers,Time Warner, Brandeis University, Lands’ End, The University of Wisconsin (Madison), and Agfa Monotype. Leland is that rarest of devil’s advocates who continually appeals to the better angels of our nature!